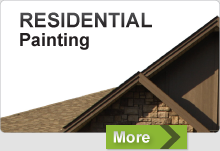 Equity Painters, your Abbotsford residential painters, the most experienced house painters in Abbotsford, has proudly served the Lower Mainland and Fraser Valley Area with nearly twenty years of affordable house painting experience. 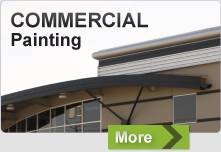 We provide clients with both interior and exterior residential and commercial painting services in the Chillwack area. We believe that it is important that whether you live or work in a place that looks good and feels good, it gives you a sense of comfort and importance. Our goal is to work with you to enhance the ambiance of your home. Equity Painters understands and appreciates the pride that people take in their homes and strive to meet the expectations that are set. Whether you require a quick touch-up or are in need of an entire makeover both inside and out, our friendly and professional Chilliwack painting staff are trained and equipped to provide you with the utmost experience. We are Abbotsford house painters who paint homes of all sizes and varieties, inside and out. From vintage to new, whole houses or single rooms, whatever the size of the job, we pride ourselves on offering our clients professional and quality, yet affordable house painting service. When we paint the interior or exterior of your home, we are fully committed to delivering quality workmanship and superior customer service, while providing the most affordable house painting services in the Fraser Valley. This means taking the steps necessary to protect your personal belongings and property, performing detail-oriented and professional prep work and maintaining a clean work site throughout the job. Our work is always of the highest caliber and we only use the highest quality products and materials. Connection with our clients is a key part of our service. As a Chilliwack painting company, we will make sure that our staff is in constant communication with you throughout the entire project to ensure you get exactly what you envision. Our goal is to meet and exceed your expectations and to help transform your “old” home into your “new” home. You can quit searching Google for “affordable house painters near me”. Instead, contact us and get more information on how Equity Painters can assist with your affordable house painting project, please contact us at 604-819-2824.